Are you familiar with Copying-and-pasting TTF fonts from C:\WINDOWS\Fonts to other folders? You should be careful: There are lots of fonts that are essential to your operating system and specific software programs. In case you've deleted some of the default fonts which should not be deleted. What's the result? Windows will misconfigure the default fonts you deleted. The font used to display specific text on the screen isn't the default as replaced by another. Are you stuck with a 'How to restore missing fonts in Windows XP'? Don't worry, Actually there are some ways you can do to solve this. 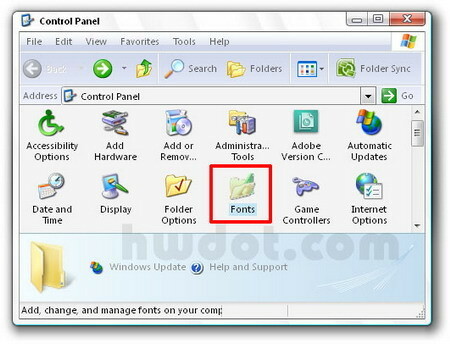 The missing Windows XP Fonts (.fon, .ttf) can be quickly restored to default in few simple steps. You can simply restore it by performing a repair installation (upgrade) of Windows XP. You need the original Windows XP CD with XP Product key. 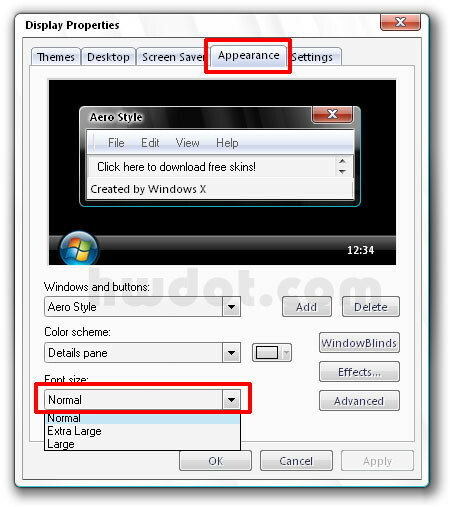 Windows Setup will replace any missing, damaged or corrupted font files that is part of Standard Fonts included with Windows XP. - All existing restore points are removed and a new system checkpoint restore point is created after the in-place upgrade is completed. - Reinstalling Windows XP is a time consuming process and may even overwrite some of your custom settings. 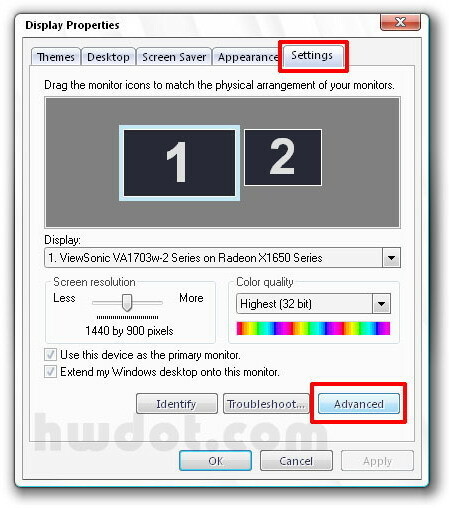 With this step, you can choose what default Windows XP fonts you want to restore back to your system one by one or just all. Open Command Prompt and go to the i386 folder of your Windows XP CD-ROM. Using the "expand -r" command, copy all the missing .tt_ and .fo_ files to Windows folder. In case you want to know what default Fonts supplied with Windows XP, Here's the list from the official Microsoft's website. C. TOO LARGE FONTS PROBLEMS on Desktop? Reinstalled Windows XP but see LARGE fonts on screen? 3. After applying new settings, but no changes? D. TOO LARGE/ too small Text-Fonts in Firefox browser? E. How to Install / ADD NEW CUSTOM FONTS ? 2. 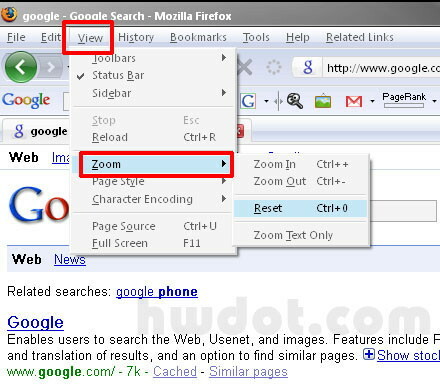 You can also do it from Control Panel and let your Windows install it. > Browse your font files and just add from there. 12 comments on "How to Restore Default Windows XP Fonts"
sure I can hit ALT N for not to overight and replace , or ok but I have ALOT of fonts colected for ocaasional design of graphics for web pages or etc. Just tried backing up my fonts and now Windows has now changed all my system fonts. Was trying to work out if there was a simple way to reset my original fonts. when browser fonts look bold or italic, the simplest way to fix this is to reinstall Arial. Ziggy, I had a problem similar to the one you mentioned above. Your method of fixing this issue worked well. Thank you very very much! MY FONT HAS BEEN CHANGED SOME HOW,I GET ALL MY LETTERS AS -X0^*- TRANGLES SHAPES,SQUARE SHAPES.IT ALSO COMES UP IN ALL MY BACK DATES RECOVERY. This totally works. My folder fonts were displaying kind of like in italic or something. I did what ziggy described and everything back to normal. Thanks for the tip! yes ! it works. Thanks ziggy. To restore system fonts to normal, just copy C:/windows/fonts folder from a normal XP machine and install fonts to your system. It will ask for replace fonts , it ok.
after this delete all fonts in red colur in your c:/windows/fonts. 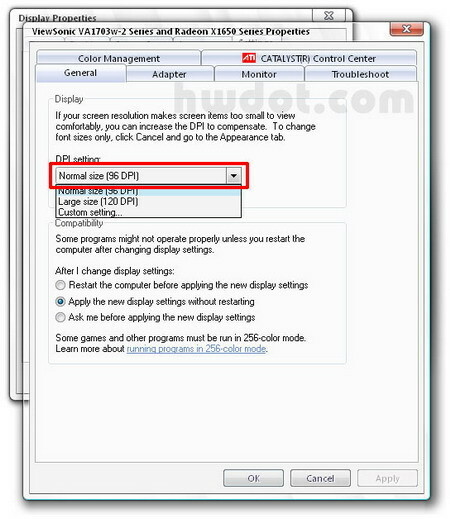 again repeat the above process of installing for confirmation. Restart your system, you will find it all normal(default fonts) after this. we have done these steps but after shutdown it lost that install fonts.